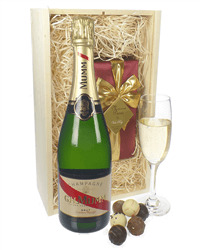 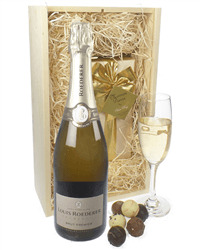 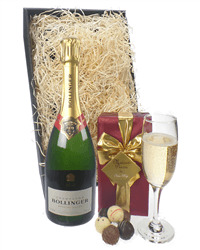 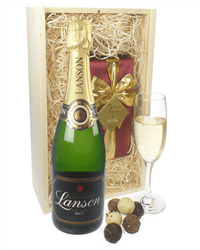 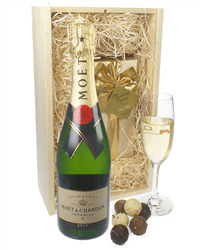 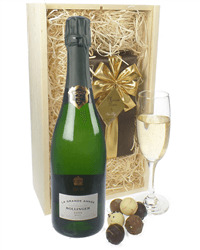 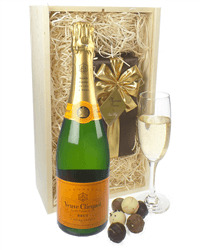 A beautiful gift which consists of Lanson Rose Champagne (75cl) together with a luxurious (250g approx 20 chocolates) ballotin of assorted Belgian chocolate truffles. Carefully packed into a wooden gift presentation box. 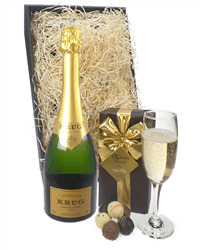 You can use our unique gift card creator during the checkout process, to type your personal gift message. 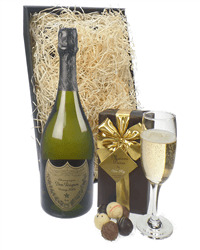 The gift card is printed onto a plastic card, inserted into a florist envelope and then enclosed with the gift.